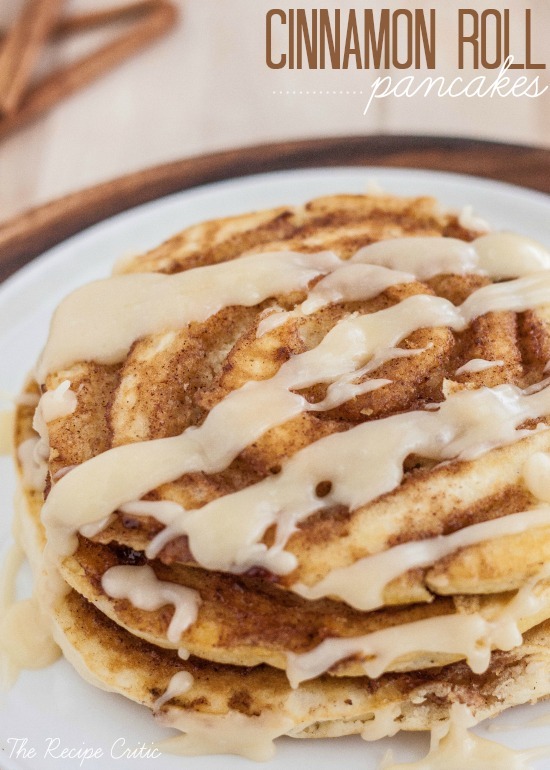 Christmas Breakfast Recipes you’re going to love. Christmas morning is only a couple of days away and if your like me you haven’t quite decided exactly what christmas breakfast recipes to make. I know we won’t be nibbling on cold cereal and peanut butter toast this year but I haven’t quite narrowed down which one of these new christmas morning recipe we are going to try for brunch this year but I can guarantee whatever it is it will be delicious! Normally we have something little to keep the hunger at bay while the kids are busy ripping open their presents and dumping out their stockings. One thing is for sure… I’m planning on enjoying a super fun Christmas morning with my family while enjoying some hot chocolate, and something delicious! 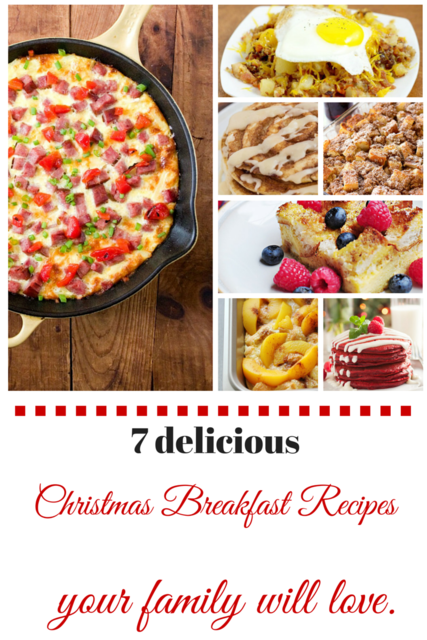 To give you some inspiration for creating a great meal I rounded up 7 delicious Christmas breakfast recipes for you and your family! Fresh berries with eggnog make this one the top of the running. 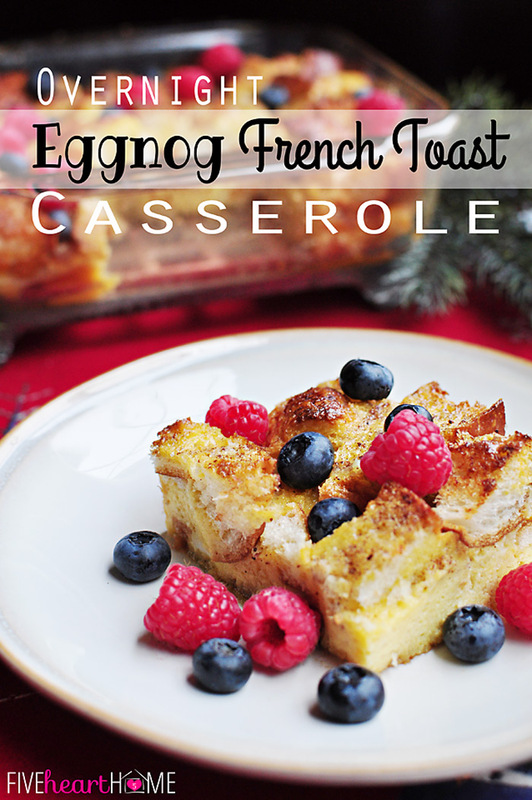 Normally this is what I whip up for Christmas Morning….it’s a crowd pleaser! 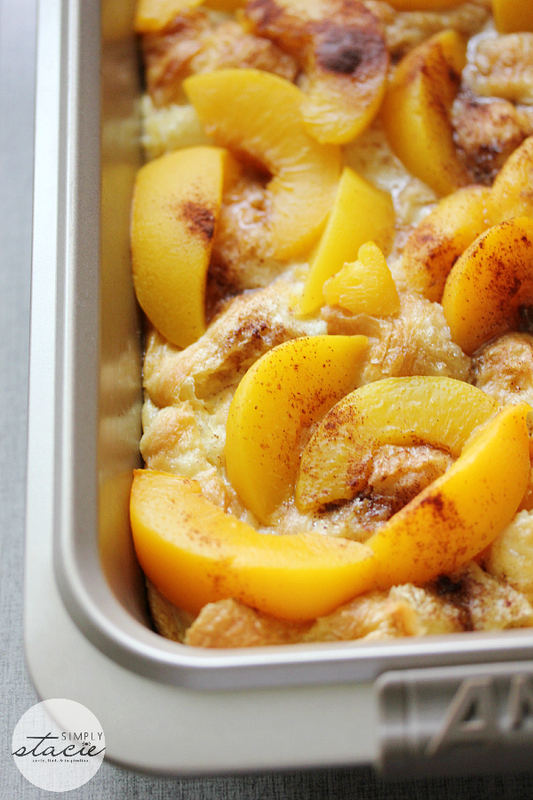 There is nothing better than fresh peaches first thing in the morning and this is a unique twist on an old favourite. This would be what my hubby would love to see on our breakfast table Christmas morning. 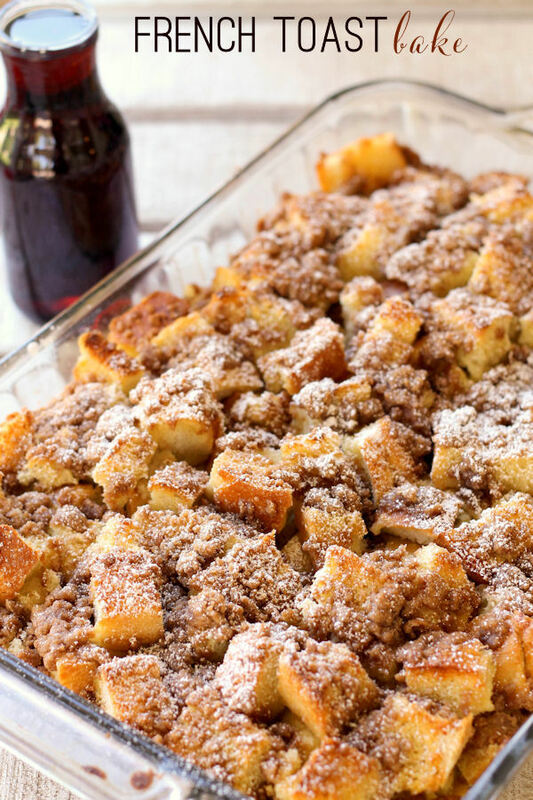 I know we are making Monkey bread to nibble on this year while we sip our coffee but for brunch…we aren’t sure yet which christmas breakfast recipe we will be making this year. 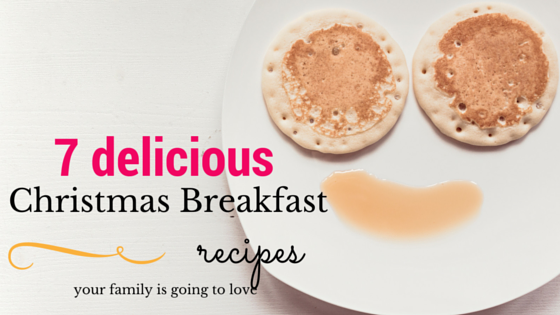 What is your families favourite Christmas breakfast recipes? « 10 Delicious Hot Chocolate recipes to sweeten up the holiday season. I have never made a special Christmas breakfast. I think I will this year. Oh my these all look so good. I do love my breakfast be it Christmas or otherwise. must get some of these recipes for later. Those recipes all look sooo good! We don’t normally eat breakfast on Christmas because of the big meal at noon but I can’t wait to make these next year. I will need to try some of these. Our favorite is an Egg Nogg Over night casserole. Yummy! Thanks for the list. I’m thinking I might just have to make that skillet breakfast. I love one-pot meals! These breakfasts all look so delicious. It will be hard to selct just one to make on any particular morning! These all look delicious. They would all be a reason to have breakfast for dinner! 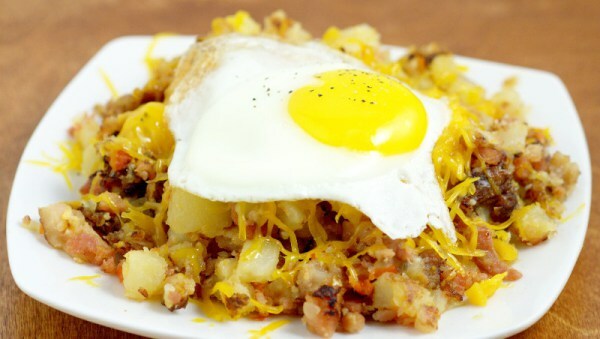 Yum, the Farmer’s Breakfast Skillet. I want that so badly! I love Christmas breakfast recipes. My family and I pore over them on Christmas Eve and it gives us yet one more thing to look forward to the next morning. 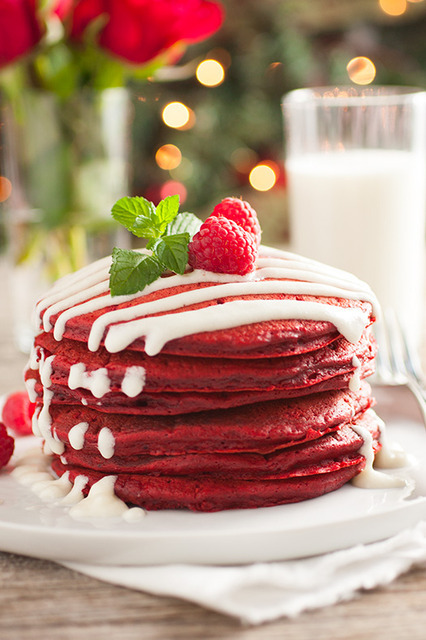 I want those red velvet pancakes BAD. Pancakes are my favorite anyways, but those are extra awesome. I haven’t decided either! 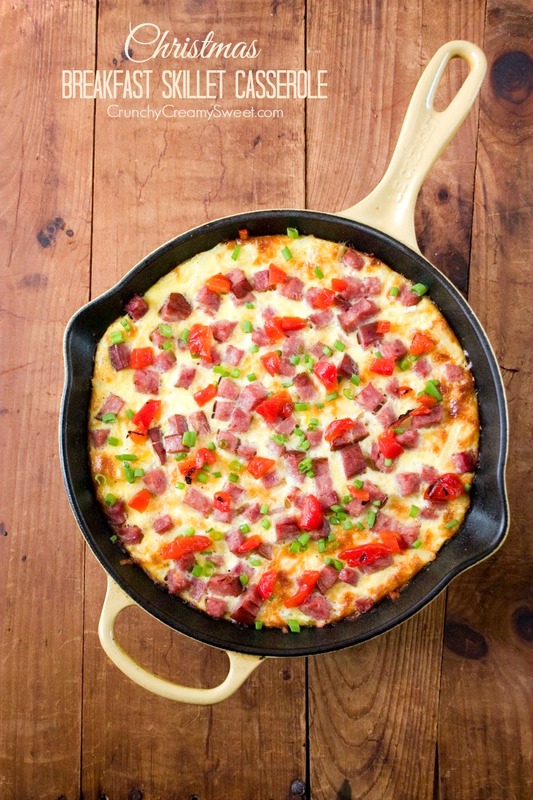 I want to make my savory casserole but I know the kiddos will want pancakes. But definitely hot chocolate for all! Thanks for linking up to my breakfast skillet, Heather! Happy Holidays!